The beautiful religious buildings of the Qutub Minar complex form one of Delhi’s most spectacular sights. 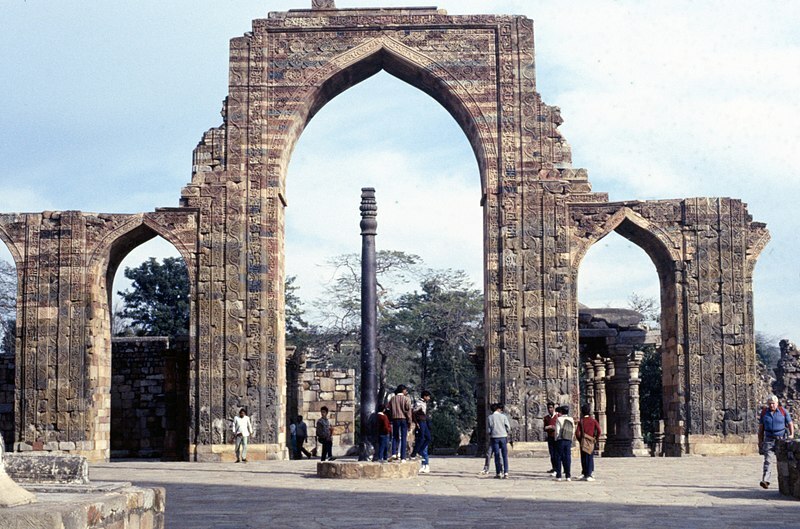 The Iron Pillar located in Delhi, India, is a 7 m column in the Qutb complex. The iron pillar has stood the test of time and resisted rust since the last 2000 years. The pillar has attracted the attention of archaeologists and materials scientists. It has been called “a testament to the skill of ancient Indian blacksmiths” because of its high resistance to corrosion. The height of Qutub Minar is 72.5 meters. There are 379 stairs inside the tower, which lead to the top. 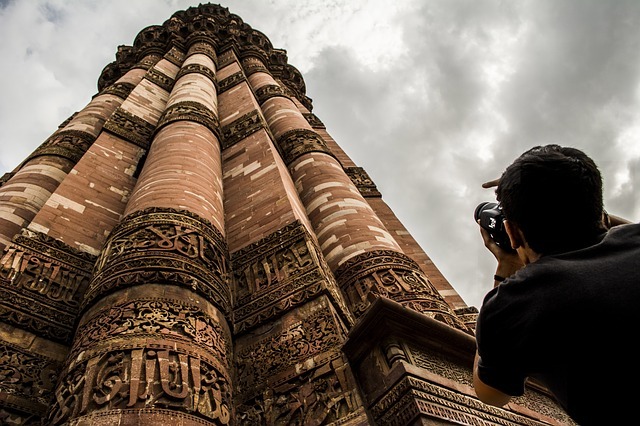 The diameter of Qutub Minar is 14.32 meters at the base and 2.75 meters at the top. All of them together are referred to as “Qutb Complex”. 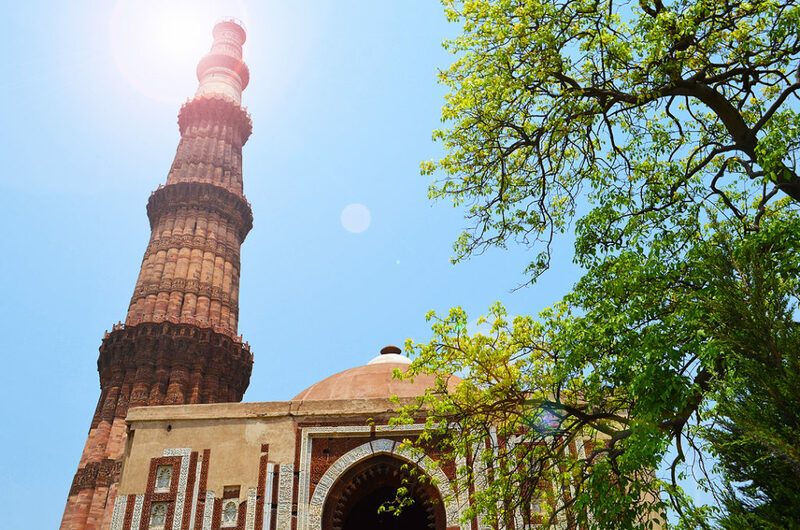 The complex includes: Iron Pillar of Delhi, Quwwat-ul-Islam Mosque, Alai Darwaza, the Tomb of Iltutmish, Alai Minar, Ala-ud-din’s Madrasa and Tomb, the Tomb of Imam Zamin, Major Smith’s Cupola and Sanderson’s Sundial. Before 1974, the general public was allowed to access the top of the Minar. On December 4 1981, 45 people were killed in a stampede that followed an electricity failure that plunged the tower’s staircase into darkness. The passage to the top of the Minar is quite narrow and this has led to panic among the public. Due to this tragic incident, public access to the inside of the tower has been restricted. Just near Qutub Minar stands the first ever mosque to be built in India. 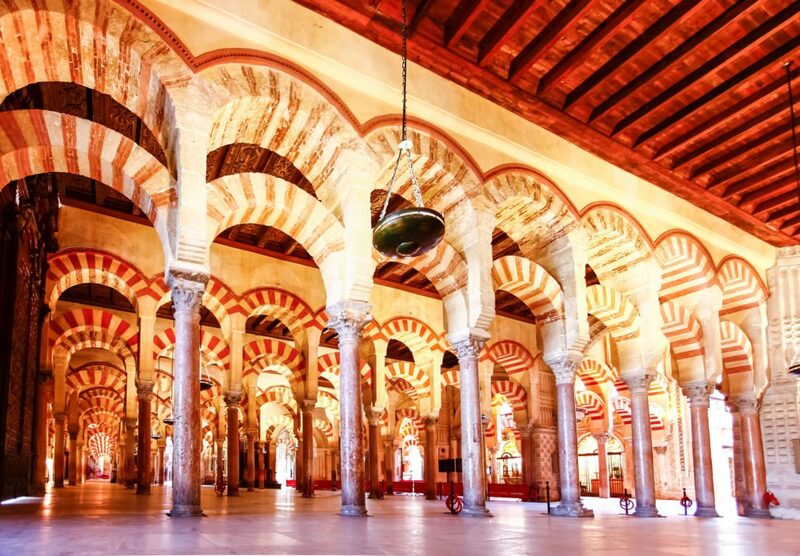 The name of this mosque translates to “The Might of Islam Mosque” in English. This building symbolizes the ascendance of one religious power over another. An inscription over the east gate states that it was built with materials obtained from demolishing ‘27 idolatrous temples’. It’s possible to see many Hindu and Jain elements in the decoration. Hindu motifs, such as bells and garlands, are clearly visible on the pillars of this mosque. 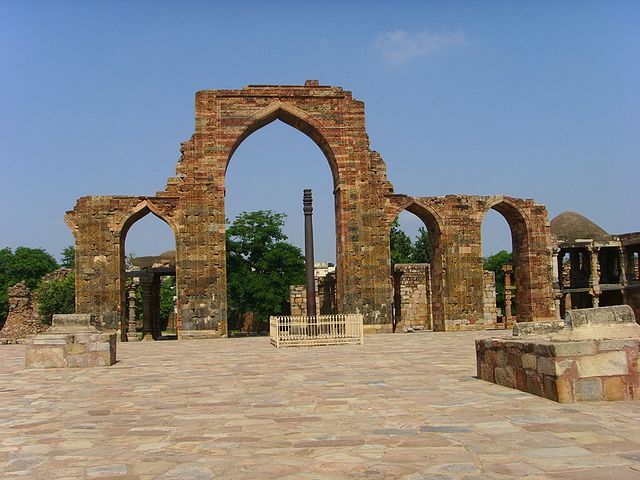 In 1200 CE, Qutub-ud-Din Aibak, the founder of the Delhi Sultanate started construction of the Qutub Minar. In 1220, Aibak’s successor and son-in-law Iltutmish added three floors to the tower. After a lightning strike destroyed the top floors in 1369, Firoz Shah Tughlaq restored the monument to its former glory. These floors are quite distinguishable from the rest of the Minar as they are made up of white marble. Qutb-ud-din’s screen formed the façade of the mosque and, facing in the direction of Mecca, became the focal point. The sandstone screen is carved in the Indo-Islamic style, lotuses mingling with Koranic calligraphy. The later screenwork and other extensions (1230) are fundamentally Islamic in style, the flowers and leaves having been replaced by more arabesque patterns. Indian builders mainly used stone, which from the fourth century AD had been intricately carved with representations of the gods. In their first buildings in India the Muslim architects designed the buildings and local Indian craftsmen built them and decorated them with typical motifs such as the vase and foliage, tasselled ropes, bells and cows. Qutb Minar is derived from an Arabic word. It means pole or axis in Arabic. When Ala-ud-din made his additions to the mosque he also conceived a far more ambitious construction program. 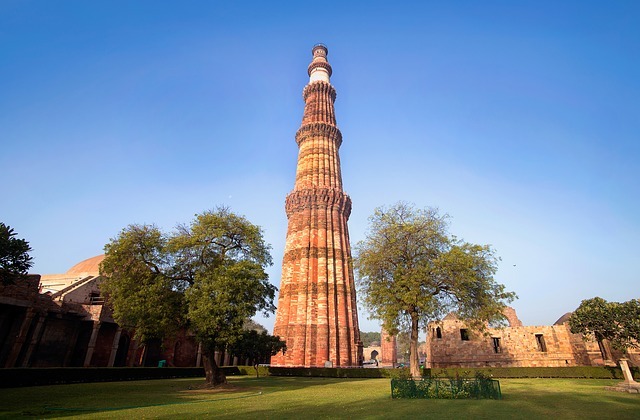 He aimed to build a second tower of victory, exactly like the Qutb Minar, but twice as high! By the time of his death, the tower had reached 27m and no one was willing to continue his overambitious project. 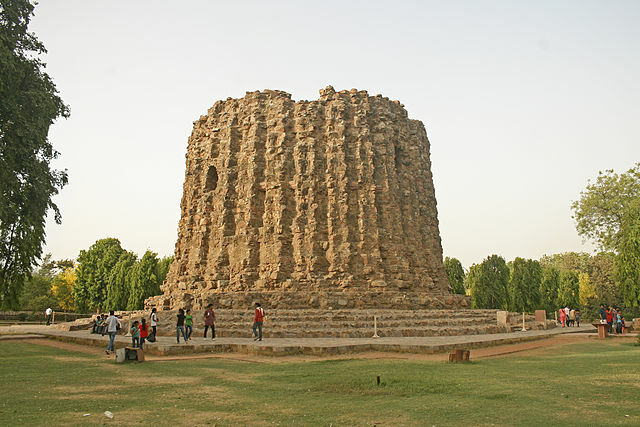 Known as Ala’i Minar, the incomplete tower, a solid stack of rubble, stands to the north of the Qutub Minar and the mosque. Ala-ud-din however did complete the south gateway to the building called the Ala’i Darwaza. 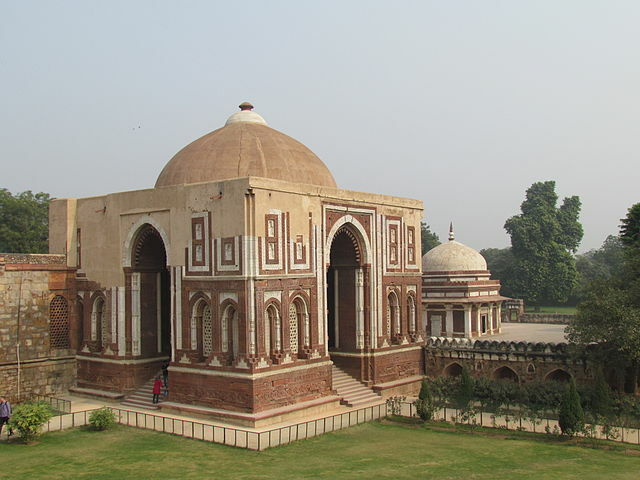 It was built of red sandstone in 1311 and is just southwest of the Qutub Minar. This exquisite gateway is the main entrance to the whole complex. 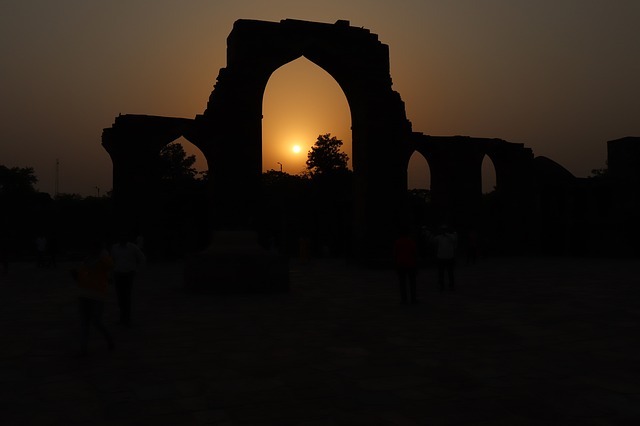 It is also one of the earliest buildings in India to employ the Islamic principles of arched construction. Ala-ud-din benefited from events in Central Asia: since the early 13th century, Mongol hordes from Central Asia fanned out east and west, destroying the civilization of the Seljuk Turks in West Asia, and refugee artists, architects, craftsmen and poets fled east. They brought to India features and techniques that had developed in Byzantine Turkey, some of which can be seen in the Ala’i Darwaza. Did Mahabharata really happen? Is Mahabharata real? Indian Republic day – 10 things that you didn’t know!